Les comparto el más nuevo video de Zozaya (@mitrascentro). Acaba de estrenar en TeleHit (hoy a las 10:20 pm) y forma parte de la música de la serie “Morir en Martes”. Si les gusta la propuesta compartanla. La rola está buena. Bien por @Pornografico que sigue poniendo el nombre de la raza chida de Monterrey en alto. Paz. Nobel laureate Wangari Maathai, center, in Nairobi in 2004. NAIROBI, Kenya – Wangari Maathai, the Kenyan environmentalist who started out by paying women a few shillings to plant trees and went on to become the first African woman to win a Nobel Peace Prize, died late on Sunday after battling cancer. She was 71. Mrs. Maathai, one of the most famous and widely respected women on the continent, wore many hats – environmentalist, feminist, politician, anticorruption campaigner, human rights advocate, protester and head of the Green Belt Movement she founded. She was as comfortable in the gritty streets of Nairobi’s slums or the muddy hillsides of central Kenya as she was hobnobbing with heads of state. In 2004, she won the Nobel Peace Prize, with the Nobel committee citing “her contribution to sustainable development, democracy and peace.” It was a moment of immense pride in Kenya and across Africa. Mrs. Maathai toured the world, speaking out against environmental degradation and poverty – which she believed were intimately connected – but never lost focus on her native Kenya. She served as a parliamentarian and assistant minister for several years, and in 2008, after being pushed out of government, she was tear-gassed by Kenyan police during a protest against the excesses of Kenya’s well-entrenched political class. Wangari Muta Maathai was born in 1940 in Nyeri, Kenya, a midsize town in the foothills of Mount Kenya. She was a star student and won a scholarship to study biology at Mount St. Scholastica College in Atchison, Kan. She went on to obtain a doctorate in veterinary anatomy, becoming the first woman in East or Central Africa to hold such a degree, according to the Nobel Prize Web site. In 1977, she formed the Green Belt Movement, which planted trees across Kenya to fight erosion and to create fuel (i.e., firewood) and jobs for women. During the 1980s, the Kenyan government labeled the Green Belt Movement “subversive,” and Mrs. Maathai seemed to provoke a special scorn from the president at the time, Daniel arap Moi, by leading the charge against a government plan to build a huge skyscraper in a park. The skyscraper proposal was eventually scrapped, though not long afterward, during another protest, Mrs. Maathai was beaten unconscious by police. Home life was not easy either. Her husband, Mwangi, divorced her, saying she was too strong-minded for a woman. When she lost her divorce case and criticized the judge, she was thrown in jail. Still, throughout the years she managed to rack up honorary degrees and innumerable awards, including France’s Légion d’Honneur and Japan’s Grand Cordon of the Order of the Rising Sun. Her battle with cancer was a surprise to many here in Nairobi. Her organization did not provide details but Kenyan media reported that she had been in the hospital for at least a week. Desde 1977 nos lo advertía Cantinflas. Que relevante es este mensaje HOY (y que mal que más de 30 años después sigamos con las mismas broncas). El expresidente Zedillo es acusado en EU de crímenes de lesa humanidad – Nacional – CNNMéxico.com. (CNNMéxico) — Familiares de víctimas y sobrevivientes del ataque que provocó la muerte de 45 indígenas en la comunidad de Acteal, Chiapas, en 1997, demandaron al expresidente de México, Ernesto Zedillo, por su presunta complicidad en la masacre. En la demanda de 53 páginas, que fue presentada ante una corte federal de Connecticut, con sello de fecha del 16 de septiembre, y de la que obtuvo copia CNN, se señala que la masacre de Acteal fue resultado de un presunto plan denominado Chiapas 94, que buscó acabar con el movimiento insurgente del Ejército Zapatista de Liberación Nacional (EZLN), en el sur de México. Zedillo, quien fue presidente de México entre 1994 y 2000, por el Partido Revolucionario Institucional (PRI), trabaja en la actualidad en la Universidad de Yale. El 22 de diciembre de 1997, un grupo de hombres llegó a Acteal y asesinó a 45 indígenas tzotziles, entre los que había hombres, mujeres y 15 niños. Las autoridades dijeron que la masacre fue motivada por una disputa de tierras entre habitantes de dos comunidades de la etnia tzotzil. Sin embargo, los parientes de las víctimas afirman que la matanza fue causada por cuestiones políticas y que incluso funcionarios estatales suministraron armas y entrenamiento paramilitar a la población más conservadora con la intención de terminar con los zapatistas. En la parte medular de la demanada presentada la semana pasada señala que el supuesto plan Chiapas 94 consistía en la creación y despliegue de fuerzas paramilitares y civiles, armadas por el Ejército mexicano, indicó la demanda, que alega presuntos de crímenes de guerra y otros crímenes de lesa humanidad. La acusación dice que Zedillo habría conspirado con el entonces procurador General de la República, Jorge Madrazo Cuellar, para presuntamente encubrir el papel del exmandatario antes y después de la masacre. Según el documento que dieron a conocer los abogados de las víctimas, “los deudos han visto frustrados sus esfuerzos de responsabilizar al gobierno por la masacre de Acteal”. Los demandantes están procediendo de forma anónima, para protegerlos de posibles represalias. Por ello sólo se indicó que eran cuatro mujeres y seis hombres, se informó en CNN. 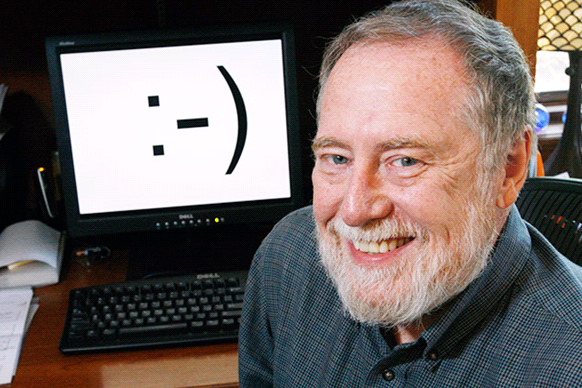 So happy smiley face emoticon day to all of you… even if it IS a Monday! Here is a link to my latest article on AQBlog, titled “Mexico’s Macroeconomic Strength Improves its Competitiveness” , published on Sep 16th, 2011. Please feel free to visit and comment. Here is a verbatim copy of it in case you prefer to read it on my personal blog, though I recommend actually going to the site because of additional content, other blogger’s articles, etc. Mexico received some excellent news recently when the World Economic Forum (WEF) published its Global Competitiveness Report, calling attention to the fac that the country has made significant progress in improving its relative position in the world competitiveness rankings. Besides drops suffered by other countries closely competing with Mexico, such as the Russian Federation, Jordan and the Slovak Republic, Mexico’s improvement in the ranking results from progress made in efforts to boost competition and facilitate entrepreneurship by reducing the number of procedures and the time it takes to start a business. The report also mentions Mexico’s large internal market size, sound macroeconomic policies, technological adoption, and a decent transport infrastructure as helping it to move up in the WEF Report. This is no doubt a great triumph for President Calderón. He has continuously boasted over TV messages and radio spots that his administration has invested more resources than previous governments into improving federal bridges and highways in Mexico. Calderón has also been vocal about an open market economy and sound financial policies as key ways to face the global economic crisis. According to WEF, he’s on the right track. However, WEF also reports that Mexico’s largest shortcomings continue to hinder its capacity to compete with the strongest service economies in the world in terms of efficiency. The obvious elephant in the room is security and the concerns it raises with regard to the ability to conduct business. As the Casino Royale tragedy in Monterrey and a number of cases in Reynosa, Ciudad Juárez and Tijuana have shown, extortion and protection quotas paid to organized crime (and presumably colluded municipal law enforcement officials) have reached a point where they have become disincentives for business and job creation in many Mexican urban areas. Failure to comply with criminals has resulted in a number of arson attacks that have in the best cases end up in total loss for the business owner and in the worst ones, in horrific scenes with multiple civilian causalities. One newspaper in Ciudad Juárez reports that as many as 90 percent of businesses in this city to have fallen victim to protection quota extortion. The business community and government need to urgently work together to find a practical solution to this matter. The rest of the weaknesses include an urgent need of reforms to improve education and innovation systems. From 149 countries listed in the WEF Competitiveness Index report, Mexico ranks 107th in terms of quality of education. As I mentioned in “Mexico Lowers the Bar on Education” this has less to do with budget issues and more with the system in itself. Professionalization of teachers is urgent. Addressing how the teacher’s union led by Elba Esther Gordillo (Sindicato Nacional de Trabajadores de la Educación, or SNTE) has become an obstacle for the effectiveness of the education system is a tough issue to tackle, but clearly a must. On innovation, if Mexico is to improve its competitive position and continue migrating to a service economy, private enterprise also needs to do its part. Companies and private universities need to risk more and invest in R&D in order to improve the country’s inventive capacity. Obviously, government can help by providing research and development incentives and funding academic investigation in the public university, but historical global experience has proven that the largest breakthroughs come from the hands of private institutions, even in cases when they were government contractors. The business community needs to spearhead innovation development. Now, while macroeconomic indicators show progress another important issue for Mexico’s long-term competitive position is definitely wealth distribution. At a current 48/100 score in the GINI index, some advancement has been made in the past 20 years but inequality remains a real and relevant issue. The open market economy has been insufficiently capable of trickling down the wealth to the lower socioeconomic levels of society. As a result, the informal sector and organized crime’s participation in it continue to grow, feeding into impunity in a vicious circle. Raising taxes to the very few captive taxpayers (some studies indicate that only 10 percent of Mexicans pay their taxes) is not the answer. Formalizing the informal sector, thus broadening the taxation base and hence having a larger amount of government resources to development of social assistance programs, unpopular as it may be, is a sounder policy. One last reflection: if Mexico’s competitiveness is advancing in spite of its current challenges, imagine where the country would be if it was able to effectively address and overcome them. ¡Viva una parte de México! Vivan los mexicanos honestos, trabajadores, entregados, comprometidos, amables, correctos, tolerantes, rectos, empeñados, alegres, justos, limpios, propositivos y con mente sana. Hoy de verdad que decir “¡Viva México!” no puede ir sin aclaración y segmentación porque desgraciadamente incluiría a todos los lacras, rateros, corruptos, cuachas, sucios, mordelones, flojos y delincuentes. También a los que echan tierra y critican por ignorancia, a los que frenan el desarrollo, a los que se quejan sólo por quejarse y para ver si salen en la tele o les dan hits a sus videos quejumbrosos en YouTube, a los que le echan basura a las empresas de bien, etc. etc. etc…. y la neta, con ellos no quiero compartir el amor que le tengo a lo que realmente tiene valor de mi país y de mi gente. Mientras que no cambien, no se lo merecen. Así que: ¡Viva una parte de México! ¡Vivan los mexicanos de bien! ¡Viva la gente de esta nación que sí la quiere y que sí trabaja a favor de ella! ¡Viva el México al que quiero y del cuál me enorgullece ser parte!